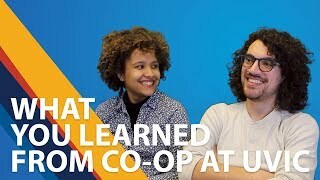 Co-op offers a unique approach to help you start building your career while you're still at university. It's designed to work around your academic courses, so you'll complement what you're learning in class with practical workplace experience. Co-op is collaborative—students, employers and the university all play an important part! Co-op gives you access to a variety of job postings that employers reserve for students. You can try different jobs, sectors and work environments to gain a better sense of your passions, strengths and goals—working in Victoria, across Canada or internationally. You'll have support from your co-op office as you apply for job opportunities. Co-op gives you relevant work experience to list on your résumé and helps you build practical skills. You'll go through a preparation course to get you job-ready, and we use a competency-based model to help you assess, build and market your skills to employers. You'll meet regularly with your co-op coordinator, set goals with your job supervisors, and check in about your competency development through regular assessments. Our co-op grads are more likely to land a job sooner, be promoted faster and earn a higher salary than graduates who didn't take part in co-op! Co-op is an amazing way to meet employers and make an impact. Many employers use co-op as a recruitment strategy, treating co-op work terms like an extended interview to consider you for future employment. After graduation, a third of our co-op students find permanent positions with their former co-op employers. 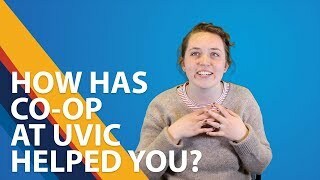 What did you learn from co-op at UVic? Our students share their biggest surprises, fails and memorable experiences. What are the benefits of co-op? UVic co-op students share the biggest ways co-op has helped them. 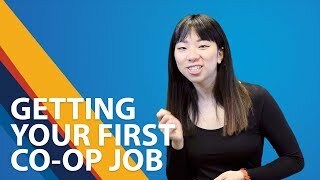 How hard is it to land your first co-op job? UVic co-op students share the challenges they faced coming in to to the working world. See more videos from the Co-op in action: students tell their stories playlist on YouTube.